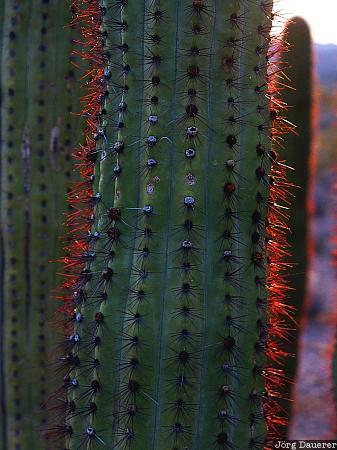 Red needles of a backlit organ pipe cactus in Organ Pipe Cactus National Monument in southern Arizona, United States. This photo was taken in the evening of a sunny day in February of 2004. This photo was taken with a digital camera.